People are forming campaign groups and various political initiatives everywhere. Such developments are testimony to the great energy of people and their search for solutions, it is also testimony to their resistance to the many policy impositions that have taken place in recent years. In order to facilitate the development of a broad movement of the people, in defense of our interests and FOR the assertion of our democratic rights a Resource Centre is needed. thefuture Initiative were pleased to open Ionad an Phobail in January 2013 as a Resource Centre for the people. 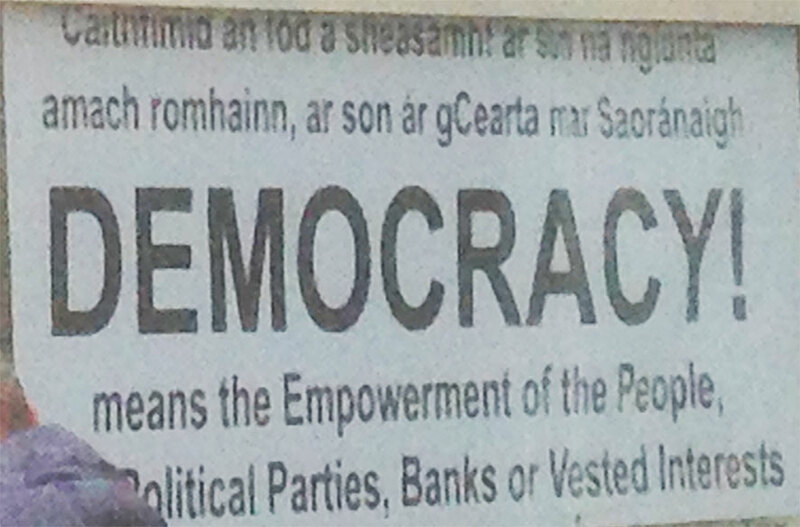 The centre is managed by Diarmaid Ó Cadhla and is supported entirely by voluntary donations. People and community are everything! No Political Parties are allowed. Promotions of ideology or ‘ism‘ of any kind is unacceptable. Any activities must be consistent with the promotion of democracy. Facilities at Ionad an Phobail include a meeting room/office space, kitchen facilities, WiFi, telephones, printing up to A3 size. The centre also brings together concerned people from a variety of backgrounds, all of whom are happy to share their skills in assisting individuals or groups that need it. 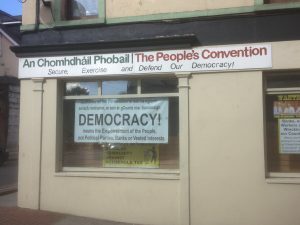 From day #1 we are pleased that An Chomhdháil Phobail | The People’s Convention (CPPC) have made Ionad an Phobail their office and centre for organising. Inquiries are welcome via this website or by phone to 021-2428310. Contact Diarmaid Ó Cadhla. Previous Previous post: How many more scandals? Next Next post: Have they done their duty?